CFU Ltd, Albion Mill, St Marks St, Bolton, BL3 6NR. We have 100's of laptops & PCs in stock, come visit our showroom! 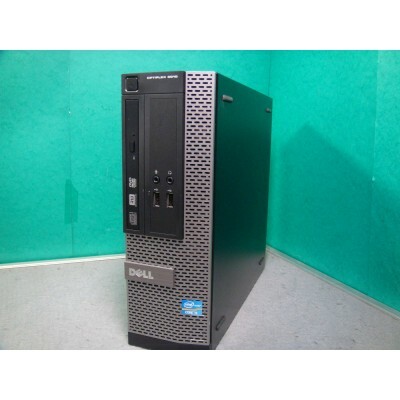 Fantastic Dell Business Class PC ideal for home and student use too! This is a fast system which can be used for general home,business or student use. All our systems are professionally refurbished to the highest standards. Each system is fully tested, every hard disk is fully erased and a clean install of Windows applied. All systems are cleaned inside and out. As these systems are used, there maybe minor cosmetic marks, such as small scuffs on the casing, but nothing that effects the working of the system. These particular PCs are in excellent condition with only very minor scuffs to the casing and nothing that affects the performance. Please see the pictures here as the one photographed is is fully representative of the one you will receive. We supply this previously used system with a 90 day RTB warranty. The warranty covers the hardware only, we do not warrant software. All PCs have been fully tested before being sent out. In the unlikely event that a problem does arise, please contact us first by email or by phone, as most problems can be resolved this way. If we are unable to fix the problem over the phone then the item can be returned to us for repair at your expense and we will return it to you at ours. We will post the item within 1 working day, for example if you buy on a Friday after 1pm, Saturday or Sunday, we will post on Monday(unless it is a bank holiday and then it will be Tuesday). Buy on any other day and we aim to get the item out the same day if purchased before 1pm, otherwise item will be sent next business day. Item is available for viewing / collection / purchase from our showroom in Bolton where we have over 100 PC base units and over 60 laptops on display!